A new volume in the acclaimed Past Masters series, this is the most lucid and up-to-date introduction to the thought of Carl Gustav Jung available. Though he was a prolific writer and an original thinker of vast erudition, Jung lacked a gift for clear exposition and his ideas are less widely appreciated than they deserve to be. In his extremely readable introduction, Anthony Stevens--one of Britain's foremost Jungian analysts--clearly explains the basic concepts of Jungian psychology: the collective unconcious, complex, archtype, shadow, persona, anima, animus, and the individuation of the Self. He examines Jung's views on such disparate subjects as myth, religion, alchemy, "synchronicity," and the psychology of gender differences. He also devotes separate chapters to the stages of life, Jung's theory of psychological types, the interpretation of dreams, the practice of Jungian analysis, and to the unjust allegation that Jung was a Nazi sympathizer. 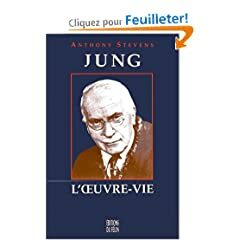 Finally, he argues that Jung's visionary powers and profound spirituality have helped many to find an alternative set of values to the arid materialism prevailing in Western society. A small masterpiece of insight and concision, this volume offers the perfect introduction to one of the twentieth century's most important thinkers.